Mince garlic and combine with the butter. Slice Camembert. Pluck basil leaves and set aside. To assemble, spread garlic butter onto one side of half the slices of bread. Zest lemon over each slice. 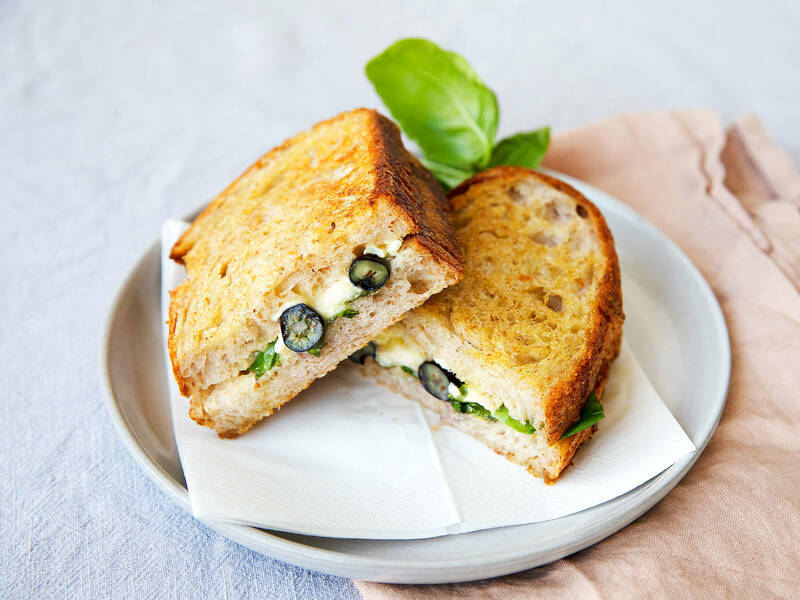 Place camembert slices on top of two slices, then the blueberries, and the basil leaves. Place the top slice of bread over the sandwich, butter and lemon zest side-down. Heat olive oil in a pan over medium-high heat. Place the sandwiches in the pan and fry for approx. 3 min. on each side. Enjoy while they’re hot!